As part of YouTube’s ‘Artists to Watch’ 2019 spotlight, it has also highlighted 10 acts from Australia and New Zealand which it predicts are going to create tsunamis this year. The list is based on a variety of factors, including YouTube views, engagement from global music fans and YouTube Music analytics. 18 year old Bene grew up in a musical and theatrical family, growing up playing saxophone and guitar. She started putting covers on SoundCloud for friends and was astounded when artists and the NZ industry excitedly drew her in. “I want music to be the thing that drives my life,” she says, debuting with a single ‘Tough Guy’ (“about acting as if we don’t have feelings”) and last month dropped the single ‘Soaked’ which is getting love on all the streaming services. The sparkling lyrical depth in Didirri Peters’ work was ignited as a child growing up in the Victorian coastal town of Warrnambool when he used to make up stories about himself to make himself interesting. His early music education was jazz, although that soon made way to guitar rock. He set things up in 2018 with a series of strong singles and managing to generate a whole live vibe at festivals and clubs with some charismatic moves. ‘I Can’t Get Last Night Out Of My Head’, ‘Bird Sounds’ and ‘Formaldehyde’ are in the running for the triple j Hottest 100, and this year’s visit to New Zealand will presumably mark a return to the UK and Europe where his first London show was a sell-out. Georgia Flipo spent a year setting up a strategy for G Flip, using her beginning as a rock drummer to create the rhythms in her vocal phrasing, to learning the rudiments of songwriting and production. So when the debut ‘About You’ uploaded on triple j’s Unearthed and instantly went viral, she had all the pieces together. With a personal motto of “I have to stay five steps ahead”, she hit BIGSOUND where she made her live solo debut and made herself noticed to everyone who’d help her make those next five steps on the chessboard. She posted two new tracks this month on Facebook, ‘Drink Too Much’ and ‘Bring Me Home’, shouting “Let’s get 2019 rolllllinn”. Rising rapper JessB grew up in New Zealand with foster parents, so her music is fundamentally about searching for her Kenyan identity, returning to Africa on visits, and finding her place in the world. The one-time star netballer recalls that there are not many mixed-race African kids in New Zealand, so she felt and looked different as a teenager. She recalled in one interview after returning to Kenya: “It changed the way I saw myself. “I just knew there was a lot of work for me to do in terms of the way I see myself, and my identity and my life and how I relate to that and being a New Zealander who’s of Kenyan descent, or an “Afric-Kiwi”. “It’s a beautiful country, the cultures are beautiful and it was nice to go into that world. That’s my bloodline. With an expressive voice used to best effect on debut album, Live From Her Room, Papua New Guinea-born Kaiit (pronounced Ka-eet) had a wide array of musical styles to cook up. They included her parents’ record collection of classic rock and R&B/soul, her early penchant for alt-rock, neo-soul and jazz, her love for Lauryn Hill and Amy Winehouse, and current admiration for Noname Gypsy and SZA. The 20-year old also has an edgy aesthetic in the way she presents herself apart from the pack. Last November, Kian set himself for 2019 by signing a record deal with EMI Music in Australia and Republic Records for the rest of the world. His signature tune ‘Waiting’ is to be followed by more new tracks he’s been working on. Kian Maxwell Bytyci Brownfield, 16, was born in the Victorian goldfield town of Castlemaine to singer-songwriters who toured incessantly through the bush and visits to the US. He got his first guitar at seven and when he was 13 had a musical life-changing moment when he met Baker Boy. In May 2017 Kian wrote and sang the chorus of Baker Boy’s debut single ‘Cloud 9’, which opened the doors for releasing his own songs and putting down real talk. Winning triple J Unearthed secured label interest and a breakthrough into Nova Network airplay. Born in Auckland to Ghanaian parents, Kwame’s family moved to Sydney when he was two. He grew up listening to a wide array of music. But hearing Kanye West’s ‘Power’ when he was 12 – “the sonics, the lyrics and the energy of that track” – marked the turning point. His parents were not impressed at this new found obsession with music when they wanted him to do well scholastically – and certainly not when he brought home his first speakers. But he taught himself production and studied the sassiness of rap to invigorate his own words. At 16 at an A$AP Ferg show, the star asked the audience for someone to come up and rap with him. A reluctant Kwame was pushed onto the stage by one of his squad, and after a tizzle start, he kicked in extra, to roars from the crowd and a high-five from the great man himself. Uploading ‘Wow’ to Unearthed created an overnight vibe, which led to him opening Splendour In The Grass. Just to make sure the message gets through, the video for current single ‘Blessings/BossUp’ was shot in his hood. The Kid Laroi was just 14 when he recorded his debut EP, 14 With A Dream. Now the hip hop scene is enamoured with him. Lil Skies and 6LACK cut beats with him, while Manu Crook$ and Tkay Maidza get him up onstage. 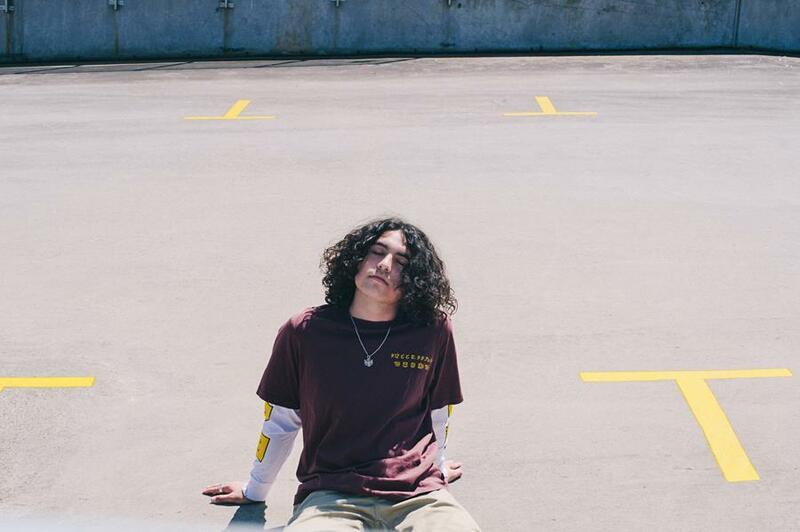 This month he opened for Juice WRLD, and yesterday Niche agency added him to its roster and announced he was opening for Denzel Curry in Sydney and Melbourne in February. Rappers Marty Large and Obi Ill Terrors, producer Billy Gunns and vocalist Lil Dijon are starting to spark overseas for the simple reason they don’t sound like 90% of Australian hip hop. Hailing from western Sydney, they met through parties and high school and began freestyling. Following the lead of producers as Dilla and Jake One and creating sounds off the MPC 1000, they started building up their recording equipment and sitting down some bangers and a tape called Press Start. Latest EP, The Naughty Corner, shows strong strides, embracing new sounds and shapes without losing their spit. 22-year old singer-songwriter Tyne-James Organ spent his first two decades in Wollongong. The son of award-winning club performer Rikki Organ, he watched first hand how music could move the masses. After his father’s death in mid-2016 from cancer, the younger Organ decided that musically would offer him the inspiration and contemporary sound he needed. He initially began uploading covers by Childish Gambino, DMA’s, Amy Winehouse, Bon Iver and Chet Faker – and even George Ezra’s “Budapest” which caught the ear of producer Allday and lead to their collaborating.